Shop QSC PLD 4.5 2000 Watt Four Channel Power Amplifier from AMS with 0% Interest Payment Plans and Free Shipping. 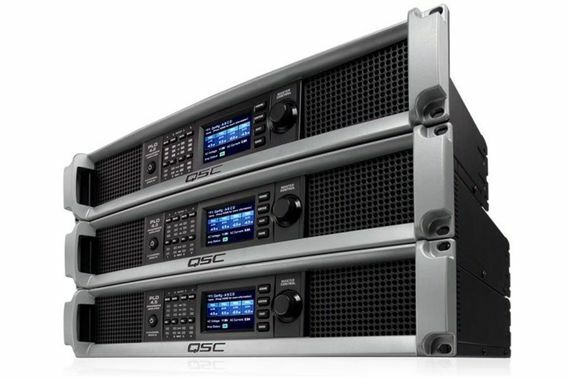 Offering 4200 watts with flexible distribution of power between up to 4 channels, the QSC PLD 4.5 Four-Channel Power Amplifier and other PLD Series amps are designed specifically for the needs of portable and production sound system users. By providing efficient, robust and extraordinarily high fidelity power, the PLD 4.5 can drive multiple channels and configurations of loudspeakers while simultaneously deploying sophisticated digital processing through an easy, all with minimal operator complexity. Total Wattage 4200 watts flexible between 4 Channels! This product is very good and I love the digital content.